In the crossing between Athens (Piraeus) to Heraklion, two or three ferries operate on a daily basis during the low season. Usually the departure times from Piraeus are around 20:30 or 21:00 at night. During summer season (from June till September) besides the two available night connections, you can also find departures at Thursdays and Sundays from 11:00 a.m. The journey from Athens (Piraeus) to Heraklion normally takes from 9h-11h hours of duration and an average ticket price goes from € 29.00-€ 46.00, but this can change at any time according to the ferry opperator. As this is an overnight and long trip, you should consider the option of booking Bed Cabins, there are plenty of types of Bed Cabins, with different structures and prices. How long is the ferry trip from Athens (Piraeus) to Heraklion? Crete and more specifically the port of Heraklion is about 332 km from Athens (Piraeus) so the ferry trips from Athens (Port of Piraeus) can last anywhere between 9 and 11 hours. During the low season (mid-October to mid-April) you can usually find two types of ferries from Athens (Piraeus) to Heraklion that depart at night. During the high season (mid-July to mid-August) there are also ferries that depart in the morning (around 11 am). What ferry to choose for the Athens to Crete trip? As most of the journeys from Athens (Piraeus) to Heraklio are overnight trips, we suggest you book ferry options with cabins, so you can have a bed for the crossing. There are many types of cabins, with different options of prices and bed layout. The prices change according to the ferry operator and the type of cabin. You can compare the ferry prices of different cabins on Ferryhopper.com. Why should I take a Bed Cabin on my ferry trip? In such long journeys, it is advisable to travel with a cabin. In order to do so, you should book your tickets at the earliest possible opportunity, as they could become overbooked (3-4 months before the trip). You can travel by ferry to Santorini and Mykonos from Heraklion! Find out more about these itineraries here. 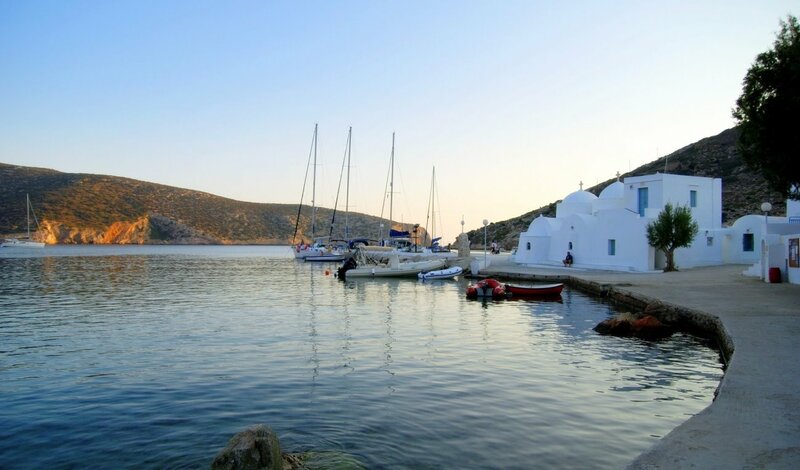 It is advisable to book in advance your ferry trip back to Athens, especially if you are travelling with a vehicle or you want to book a cabin. Check the Crete to Athens ferry route here.